Have you tried CBD edibles? Cannabidiol (CBD) is becoming one of the most popular supplements around. CBD is a cannabinoid produced by the cannabis plant. While it does not provide a psychotropic “high” like THC, there’s no doubt that CBD can have a positive effect on general health and wellbeing. Yet, apart from puffing on a vapor pen or taking a capsule, how exactly do you consume CBD? If you’re hoping to avoid inhaling, CBD edibles are an excellent option. CBD can actually be quite calming for some people. CBD edibles have several benefits over smoking cannabis or inhaling a CBD vapor pen. In a CBD edible, the active compound is combined with other foodstuffs. This means that the CBD is released slowly over long periods of time as food is digested. The result is a long-lasting CBD experience. In fact, CBD edibles can last between two and four hours longer than inhaled CBD. CBD may be a cannabis compound, but many are surprised to find that it does not cause a psychotropic “high”. Instead, the cannabinoid offers consumers a mellow mood uplift with a sense of positive, alerted energy. With their long-lasting nature, CBD edibles can provide prolonged relief from mild pains and daily stresses. These would be a great option for anyone hoping to enjoy the benefits of cannabis without an over-the-top psychoactive experience. If you have health challenges, you might want to avoid sugary edibles. While some prefer to make their own cannabutter or infused cooking oils, CBD edibles can be surprisingly simple to make. Different CBD extractions can be added to cooked and baked goods for an added antioxidant boost. CBD crystals, made with purified and isolated CBD, are now available in many cannabis access points and online. Although you should know that isolated CBD tends to be less effective compared to whole-plant cannabis. Both of these products are easy to dose, giving you more control over the amount of CBD available per serving. While vapor pens are more popular than ever, the long-term implications of inhaling hot oil are still yet to be determined. Many vapor pens also contain added thinning agents, like propylene glycol (PG) and polyethylene glycol (PEG). Research suggests that these thinning agents may produce toxic carcinogens when heated to temperatures above 436℉ (224℃). While it is possible to find vapor pens that do not contain these additives, CBD edibles are an excellent way to avoid inhaling potentially toxic compounds. Cannabis isn’t the only therapeutic plant out there. Evidence suggests that compounds in the herb, like CBD, interact with other plant molecules to produce amplified effects. Lavender, for example, contains an aroma molecule called linalool. As you may have guessed, cannabis contains an abundance of terpenes. When making CBD edibles at home, adding other beneficial herbs to your culinary creation may help modulate the effects of the cannabinoid. 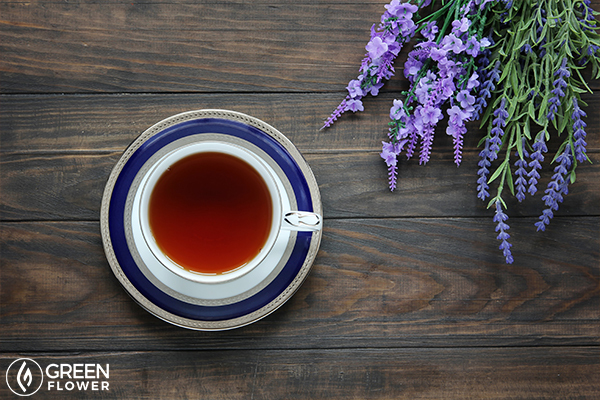 Linalool, the lavender compound, is known to have calming effects. Mixing some CBD into a lavender tea or dessert may amplify the mellow effects of each herbal remedy. A few CBD drops in this lavender tea will do the trick. Another great benefit of CBD edibles? While the precise regulations on CBD are a little fuzzy, many providers sell CBD online and ship around the United States. CBD is also available in a handful of European countries. CBD edibles sold online are “hemp-derived”. Hemp and cannabis are the same plant. However, the word cannabis is often used when discussing varieties of the plant capable of producing psychoactive THC. Hemp is frequently grown for fiber and seed, yet the term has recently been applied to high-CBD/low-THC cannabis cultivars. In the United States, cannabis with less than 0.3 percent THC is considered hemp. Hemp products sold online are made from this form of cannabis. Forget isolated cannabinoids. These two go really well together. Worried about getting little too elevated for comfort? 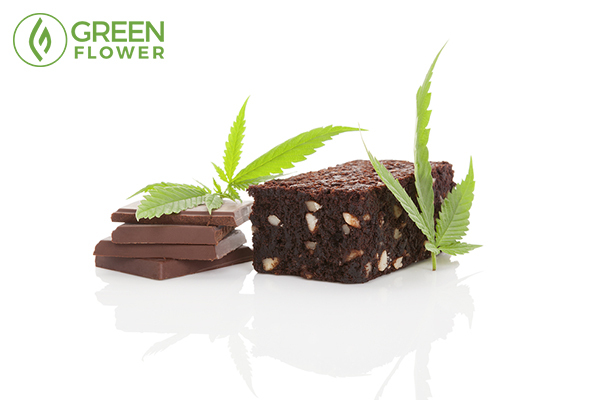 CBD edibles may help balance out a psychotropic THC. While edibles tend to take a while to kick in, consuming a little CBD with your THC is a great way to moderate the psychoactive experience. Research suggests that CBD can calm the psychoactive effects of THC, toning down what could be an uncomfortable experience for some. Those that want a slight psychoactive experience may want to mix and match pre-dosed THC and CBD edibles. When you inhale CBD via a vape pen or through smoke, it can be very difficult to determine exactly how much CBD you are getting each time. Many purchased CBD edibles come in pre-dosed servings, enabling you to calculate how much CBD you have consumed and how much you need to consume to achieve your desired results. Some forms of CBD can be cumbersome or impractical. Even pocket vaporizers can get quite large and it may not always be convenient to pull out a pen vape to get your daily dose. Those needing pain relief during a long flight or a focus boost during the workday will appreciate the ability to simply throw back a CBD gummy or two and get back to business. CBD can come with some side effects in high doses. In fact, there is evidence that suggests that high-dose CBD may enhance the effects of pharmaceutical medications, making it necessary for consumers to lower their doses. However, CBD is considered generally well-tolerated and even high-doses of the cannabinoid produce but minimal side effects. A 2006 study published in the Brazilian Journal of Medical and Biological Research concluded that CBD was safe at a wide range of doses in both healthy and epileptic study participants. 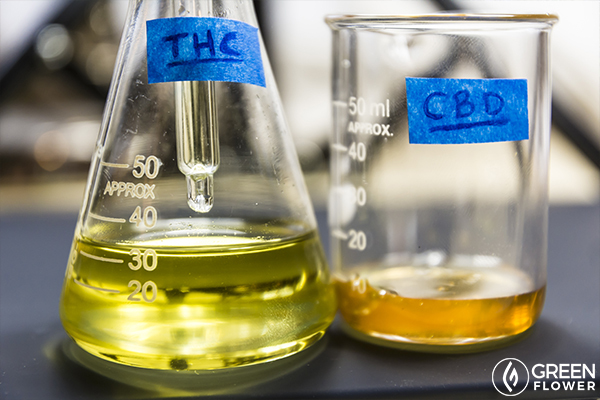 Researchers are investigating different ways to use CBD in medicine. Already, CBD-based pharmaceutical drugs have been proven successful in treating some types of epilepsy in clinical trials. Yet, you don’t need to have a serious medical condition to benefit from CBD. CBD edibles may also be beneficial supplements to those with milder and first-aid related ailments. Many people pop an ibuprofen or another anti-inflammatory drug after a minor injury, headache, or joint pain. CBD, however, has been found to work in similar ways to these over-the-counter remedies without some of the harsh side effects like stomach ulcer and gastrointestinal bleeding. Sounds like a step up, doesn’t it? Your thoughts on CBD edibles? Are Social Cannabis Clubs Legal in the United States? 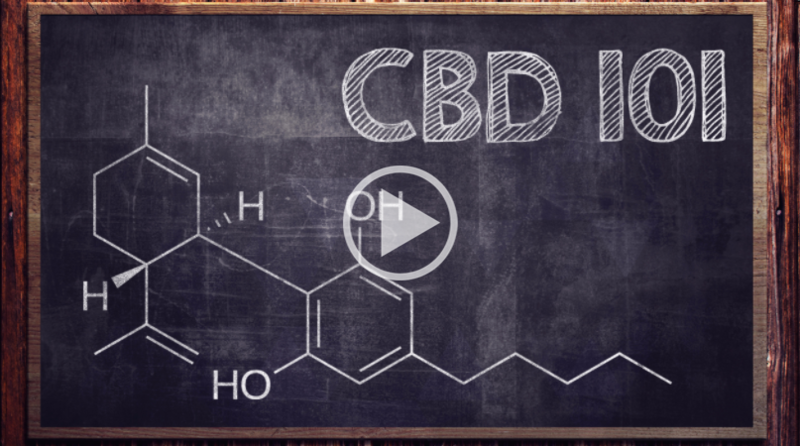 Is CBD a Performance Enhancing Drug?